What kitty doesn't get into mischief with the Christmas tree? 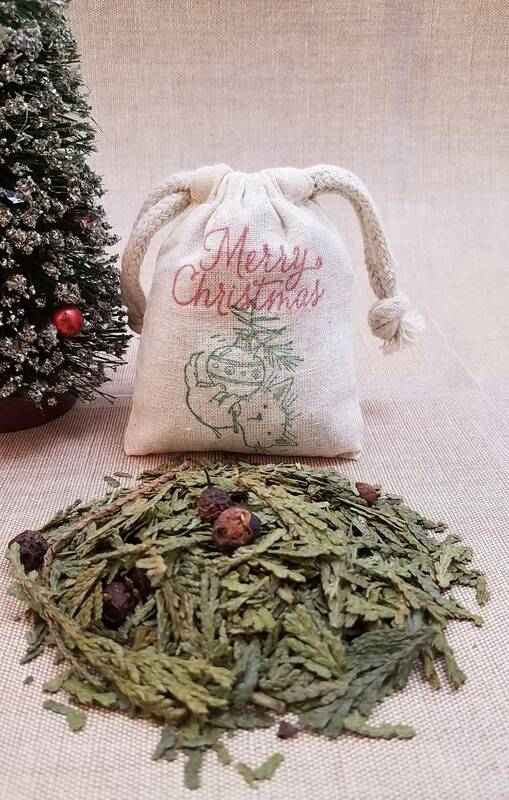 These cute and fun kitty holiday herb sachets will bring a smile to any face! Each stamped 3"x4" muslin bag is filled with wild crafted cedar tips and organic dried Hawthorne berries. This fresh, invigorating fragrance is everything fall was meant to be! The fragrance opens with rich pine notes blended with warm cinnamon and clove. A hearty base of cedarwood is mellowed with a gentle amber scent. Use these sachets in fall and through out the holiday season! 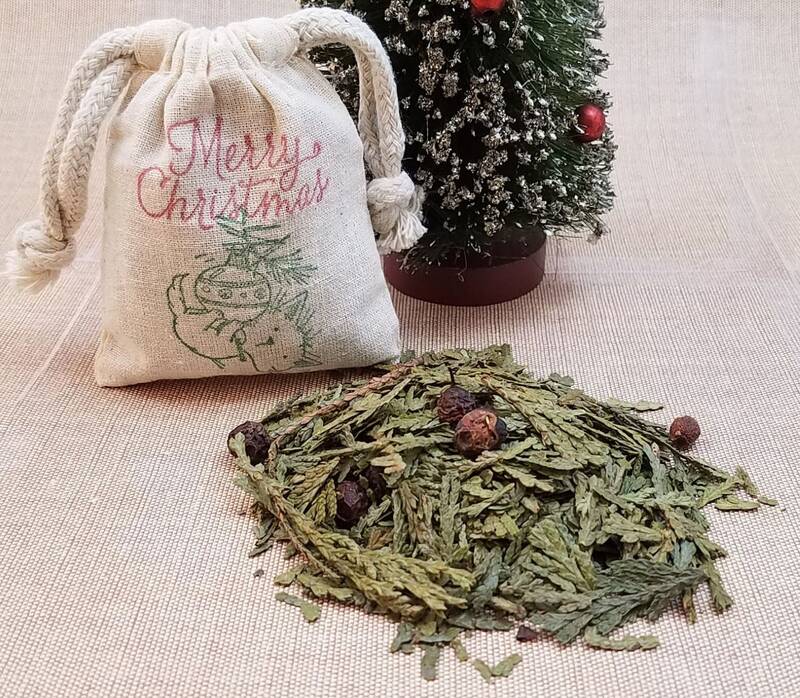 Love this Christmas Herb Sachet! 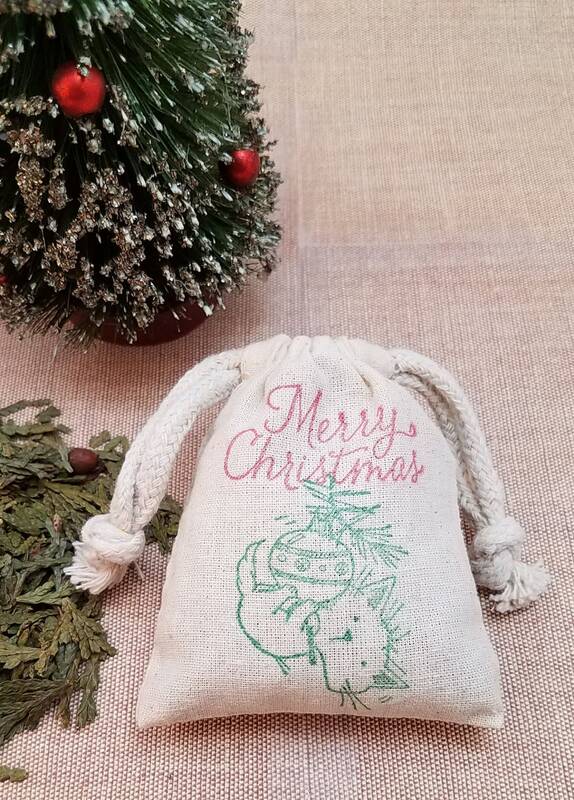 Smells so Amazing and is very fragrant.The size is perfect and they are generously filled.I love the Cat in a Tree Stamped on the bag as well.I have this in my Linen Closet and really smells so fresh.Thank you so much to SunnyBunnyGardens for making these! Will buy again and highly recommend!!! !